Sgt. 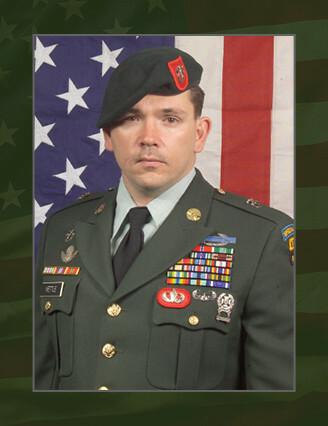 1st Class Jeffrey D. Kettle was killed in action on August 12, 2007 near Bar Kalakney Village, Khogyani District, Nangarhar Province, Afghanistan, while serving with ODA 741, A Company, 2nd Battalion, 7th Special Forces Group (Airborne). Kettle, 31, was a Special Forces engineer sergeant assigned to ODA 741, Company A, 2nd Bn., 7th SFG(A), Fort Bragg, NC. Kettle, of Texas City, TX, enlisted as an infantryman in September 1993. He served as an infantryman in Hawaii in 1994. He then served with the 1 st Bn., 503 rd Airborne Infantry at Caserma Ederle, Italy in 1995. After serving six years at Fort Benning, Ga., in various positions Kettle was assigned to here to 3rd Bn., 505th Parachute Infantry Regiment, 82 nd Airborne Division. He attended the Special Forces Qualification Course, graduating in 2006 and was assigned as an engineer sergeant with A Co, 2/7th SFG (A). He spent one tour of duty in Afghanistan in support of Operation Enduring Freedom (OEF) in 2003 and had recently begun his second tour of duty in Afghanistan with A Co, 2/7 th SFG(A) in support of Operation Enduring Freedom (OEF). Kettle’s military education include; the Basic Airborne Course, the Air Assault Course, the Ranger Course, the Warrior Leaders Course, the Basic Noncommissioned Officer’s Course, the Combat Lifesaver Course, Special Forces Qualification Course, the Survival, Evasion, Resistance and Escape Course, the Parachutist Jumpmasters Course and the Advanced Noncommissioned Officer’s Course. His awards and decorations include the Bronze Star Medal, Army Commendation Medal, Army Achievement Medal, Joint Meritorious Unit Award, Valorous Unit Award, Army Superior Unit Award, Army Good Conduct Medal, National Defense Service Medal, Armed Forces Expeditionary Medal, Army Commendation Medal, Global War on Terrorism Expeditionary Medal, Global War on Terrorism Service Medal, Humanitarian Service Medal, Armed Forces Service Medal, NCO Professional Development Ribbon, Army Service Ribbon, Overseas Service Ribbon, NATO Medal, Combat Infantry Badge, Expert Infantryman Badge, Parachutist Badge, Air Assault Badge, Ranger and Special Forces Tabs. He is survived by his wife, Brandi, and sons Jeffrey and Logan of Raeford, NC; and parents Ronald and Cynthia of League City, Texas.